NovaRay: The innovative design of NovaRay combines extreme density and extreme performance for 112 Gbps PAM4 per channel, in 40% less space than traditional arrays, for an industry leading 4.0 Tbps aggregate data rate. Samtec Flyover: As bandwidth requirements rapidly increase, routing signals through lossy PCBs, vias and other components has become one of the most complex challenges designers face. 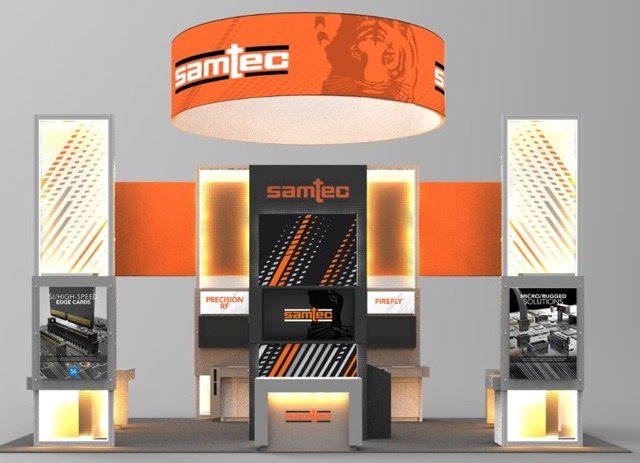 Samtec Flyover breaks the constraints of traditional substrate signaling and hardware offerings, resulting in a cost-effective, high-performance answer to the challenges of 112 Gbps bandwidth and beyond. 112 Gbps PAM4 Flyover Cable Solution: Samtec’s NovaRay to ExaMAX® Cable Assembly offers new capability of 112 Gbps PAM4 while reducing the complexity and cost of high-performance PCB design.